At some point, you get to a stage where you know you need to make a change. Peter's transformation is nothing short of exceptional. He lost a whopping 10 stone in 10 months! At the end of 12 months, he dropped from 27 stone to 16 stone and 8lbs and was in the best shape of his life. Too easily the treadmill can become your best friend; so many think weights are just for men! This rang true for Mandy. Through our sessions she was able to change her body shape and get stronger and fitter. She went from someone who barely exercised to becoming so passionate about fitness she now runs her own successful studio Cyclebox in Glasgow. Adam arrived at White Method Fitness struggling to lift a 20Kg bar for Bench, Squats & Deadlifts and within 90 days was doing 80Kg on the Bench, 120Kg Squats and 140Kg Deadlifts. He went from 25% body fat to 15% . Losing close to 15 inches of body fat around his body with an increase of 2.5 inches of size on his chest. 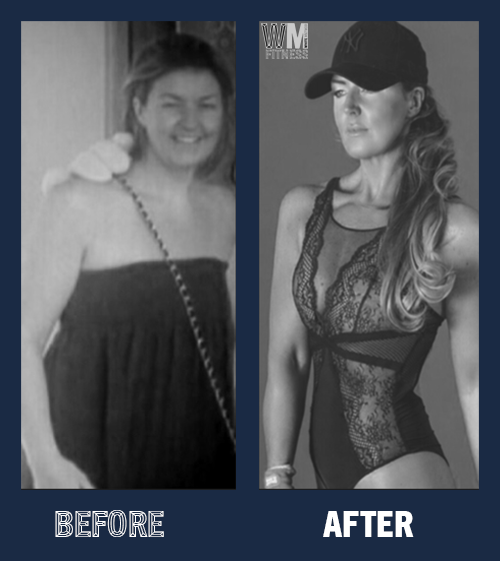 When Raj joined White Method Fitness, she was already training hard but not getting the results she wanted. She felt completely frustrated with her previous training. I helped her develop her lifting programme and customise her training schedule to fit her goals. Her body fat went from 20% down to 12% - and is still going. As a result of her dedication she was able to pursue her dream of fitness modelling.